On May 13, 2016, Jeff Forbis, the one person chiefly responsible for keeping the McCloud railroads alive for the last quarter century, passed away at the age of 65. Jeff Forbis was born in Westfir, Oregon, in 1950. After graduating from the University of Oregon with a business degree, Jeff followed three previous generations of his family into the railroad industry. Jeff's career started with the Southern Pacific, where he spent fifteen years in various administrative positions. In 1984, Jeff left SP for shortline company RailTex, where he served concurrently as a Senior Manager for Marketing and Rates and the Manager of Pricing and Interline Accounts for the San Diego & Imperial Valley, a road RailTex owned in San Diego, California. Jeff was ready to move on to new pursuits by late 1986. 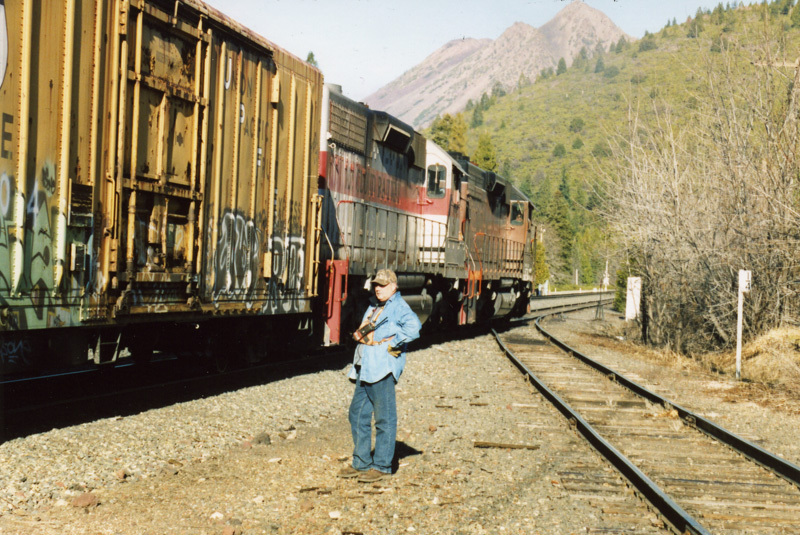 At this point, the completion of the FRA-financed track rehabilitation grant and an extensive marketing program allowed the McCloud River Railroad to turn a corner from the dark days of the early 1980s. McCloud decided to expand their marketing department, and in late 1986 then president Paul Zalec offered Jeff the newly created Directing of Marketing position. Jeff officially joined the ranks of the McCloud River Railroad on January 26, 1987. He and the others on the railroad's small marketing team worked hard over the next several years, resulting in several additional new traffic sources, especially the paper and other traffic the railroad generated through the newly established Sprint Reload. 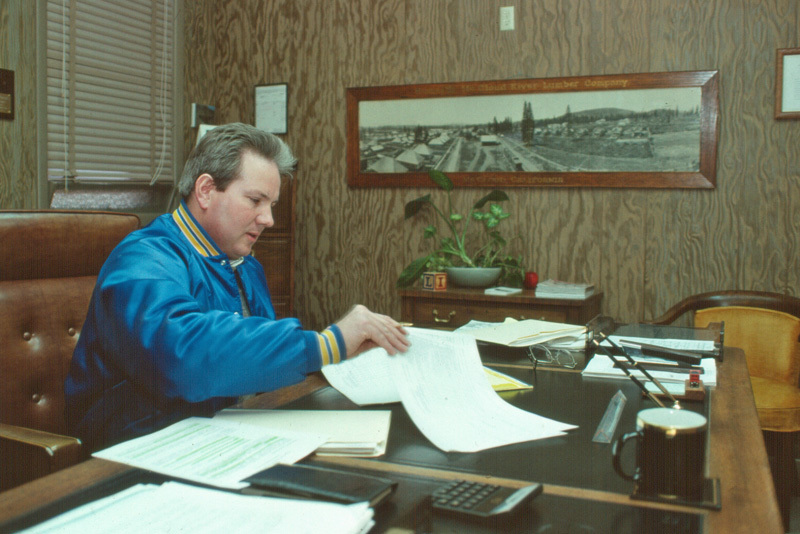 The McCloud River Railroad recognized Jeff's successes, promoting him to Vice President of Marketing and Administration in February 1989 and then to the president post in September of the same year. Jeff had barely settled into his new position at the company's helm when Itel, McCloud's corporate parent, decided to get out of the transportation industry entrely and instead refocus itself into the telecommunications business. Itel started looking for buyers for its various properties. Thanks to the efforts of Jeff and others, the McCloud River Railroad by this point was in the healthiest state it had been in since the late 1970s, but even with that Itel experienced trouble finding anybody interested in taking the property over. Abandonment loomed as a distinct possibility. Jeff became seriously interested in purchasing the railroad himself. Itel gave him permission to make an offer for the road, and after negotiations became fruitful he and his family formed 4-Rails, Inc., which signed an asset purchase agreement for the railroad's operating assetts on February 1, 1992. The Forbis family and Itel finalized the sale documents on March 24, 1992, and on July 1, 1992, the Forbis family's new McCloud Railway Company assumed the property and commenced operations. The McCloud Railway enjoyed a strong start under the new ownership. Jeff continued his marketing efforts, resulting in several addditional new traffic sources. The railroad also welcomed increasingly frequent motorcar group runs, and then Train Unlimited Tour's excursion featuring the former McCloud River #19 in the spring of 1994 graphically demonstrated the alure the railroad still had for tourist railroad operations, prompting the Forbis family to repurchase the former McCloud River steam locomotives #25 and #18 and the start of the Shasta Sunset Dinner Train. Jeff and his other family members became active in several shortline and tourist railroad groups. Jeff and his railroad remained a fixture in the McCloud community. The railroad provided steady employment and commercial activity in the town, and the dinner train sparked McCloud's transition from the timber to tourist economy. The railroad participated in local fundraisers and charity events. Jeff warmly welcomed visitors to his railroad and could often be found personally hosting guests on the dinner train. Jeff would also pitch in to help out around the property, including helping his crews digging out switches, switching trains in the yard, and other jobs. Unfortunately, the storm damage in 1997, the loss of the Sprint Reload business, and other factors hurt the railroad deeply. Losses on the freight business averaged a half million dollars per year by the time the McCloud Railway reached its tenth birthday, and with no money available for maintenance equipment failures and derailments started becoming commonplace. 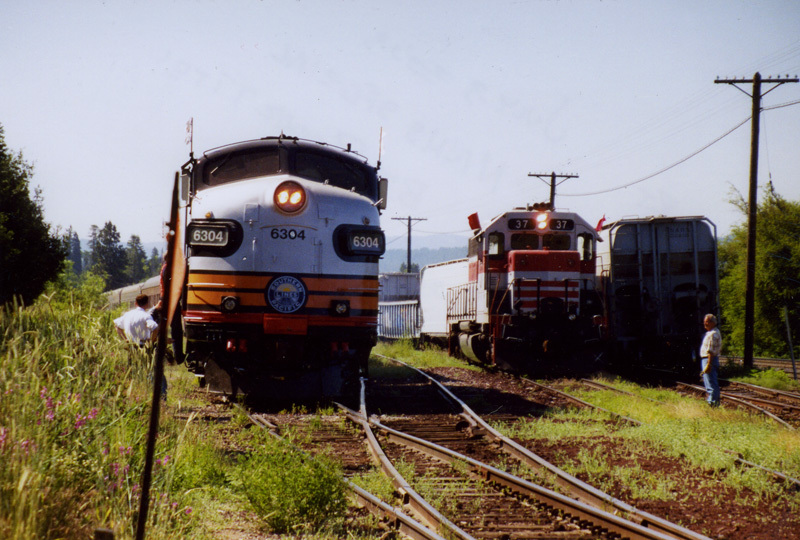 Jeff stepped up efforts to sell the railroad, but with no offers forthcoming he was forced to cease operations east of McCloud in 2006 and remove the rails two years later. The dinner train alone sustained operations for another couple years before low ridership associated with the effects of the great recession forced it to shut down in January 2010. Jeff finally sold the McCloud Railway and Shasta Sunset corporations, along with all of the operating assetts, to the Mike Williams Group in the fall of 2011. Jeff moved away from the McCloud region after selling the railroad, eventually settling in Diamond Bar, California. He did remain interested in the McCloud area, as his 4-Rails, Inc. retained ownership of the former McCloud Railway land and buildings, plus some other real estate. Jeff also fully cooperated in the establishment of the Great Shasta Rail Trail over the right-of- way east from McCloud. The town of McCloud, the railfan community, and others associated with or otherwise interested in the railroad as a whole owe Jeff a strong debt of gratitude. There are very few others who would have purchased the property in 1992, and even fewer yet who would have kept it operating as long as he did, especially through as many obstacles as he had to navigate. That the railroad survived as long as it did, and that at least a small part of it has at least some chances at continued survival, are strong testaments to Jeff. May he be long remembered for what he accomplished in his life.